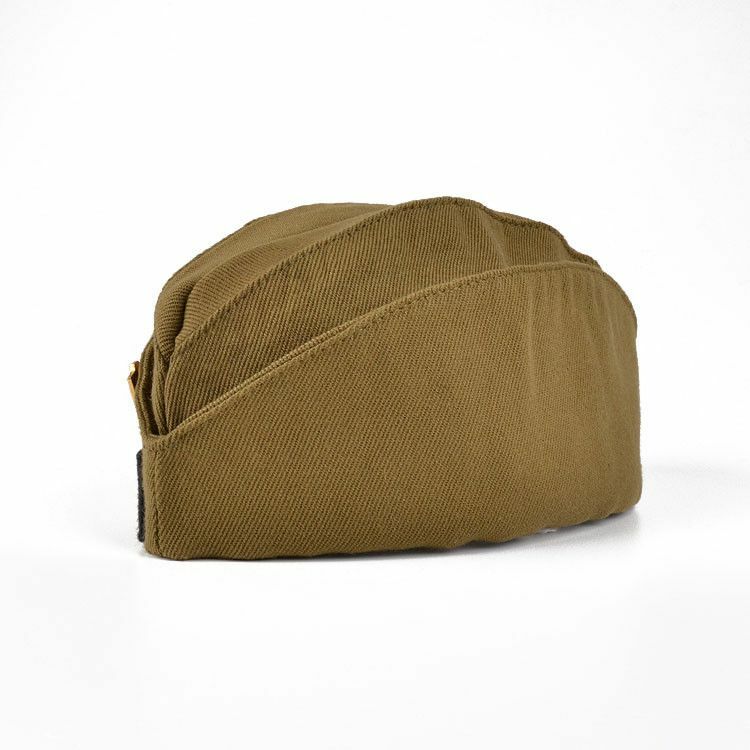 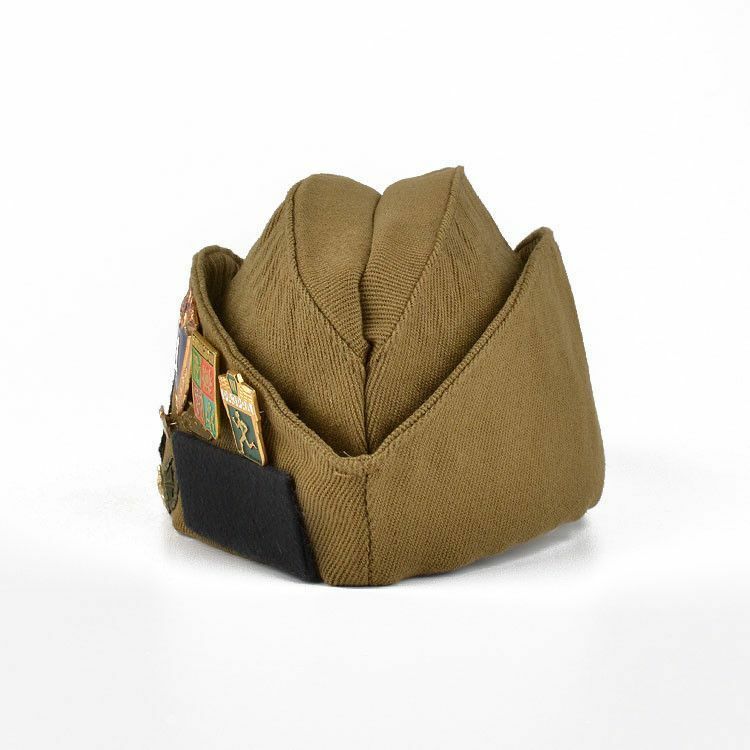 Pilotka is Russian military summer cap for soldiers, known in U.S. as the garrison cap. 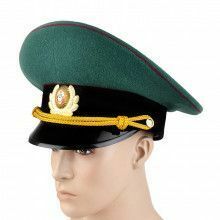 It is made from original Soviet surplus cotton material in green khaki color. 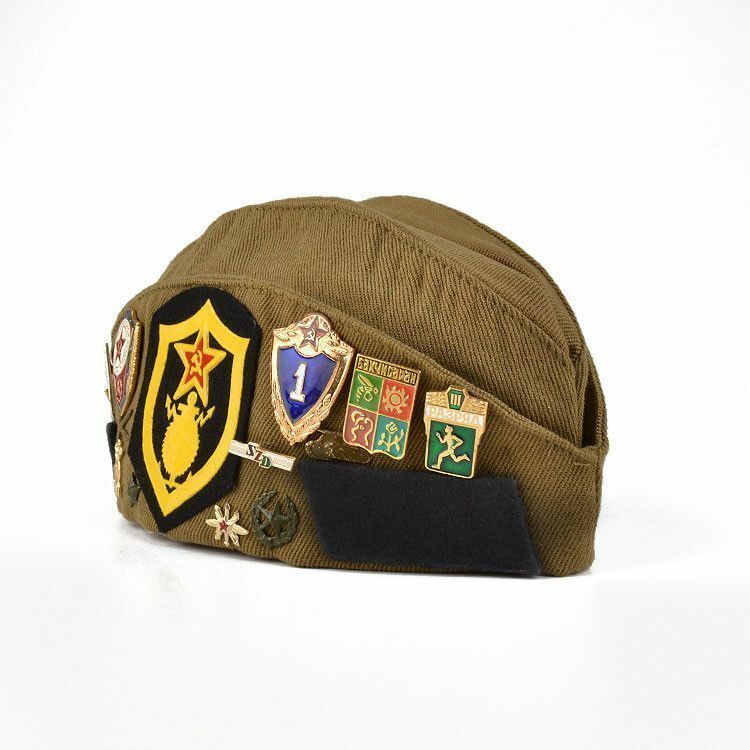 It has a collection of several Russian pins pinned to one side of the hat. 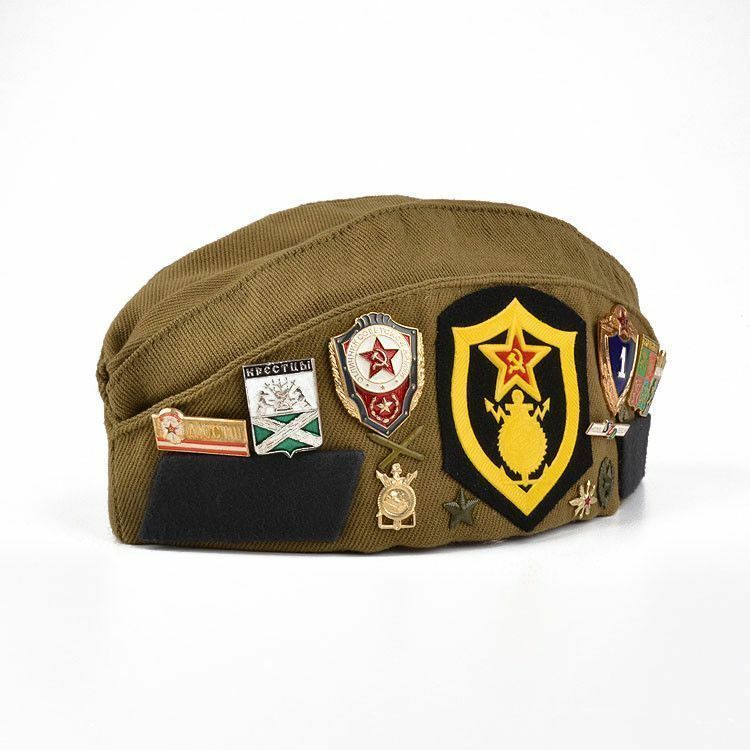 It also has the Soviet army military sleeve patch of construction battalion, and lapel borders. 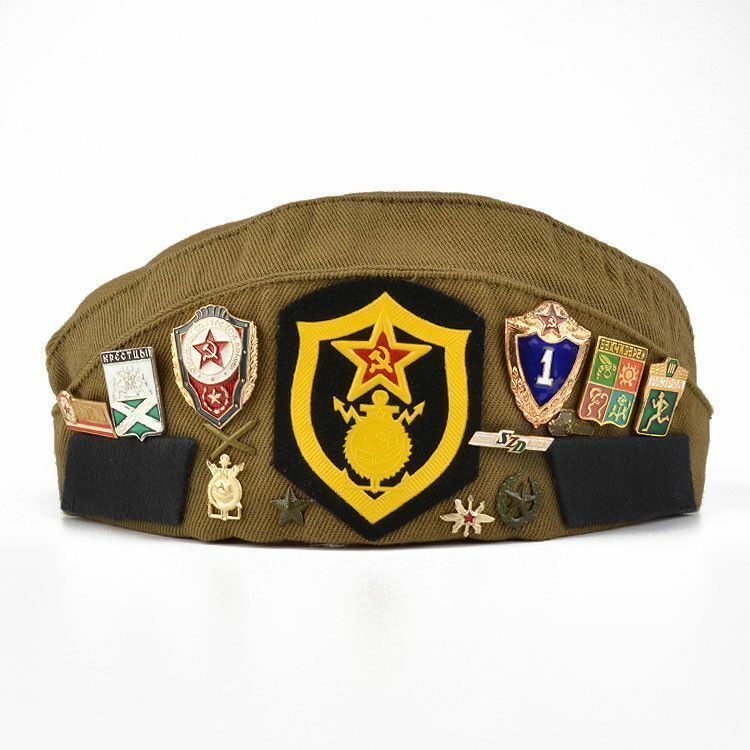 Collection and number of pins slightly vary from hat to hat. 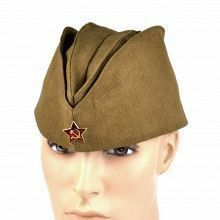 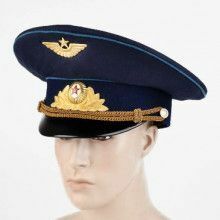 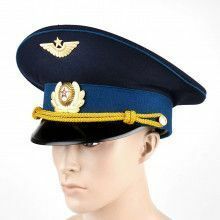 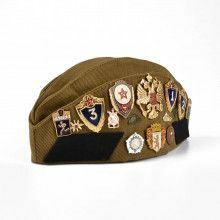 This size Small hat is ideal for collectors of Russian military items.